The VideoMVP™ offers all the advantages of a high performance diamond ATR accessory plus video imaging and optional force sensing capabilities. 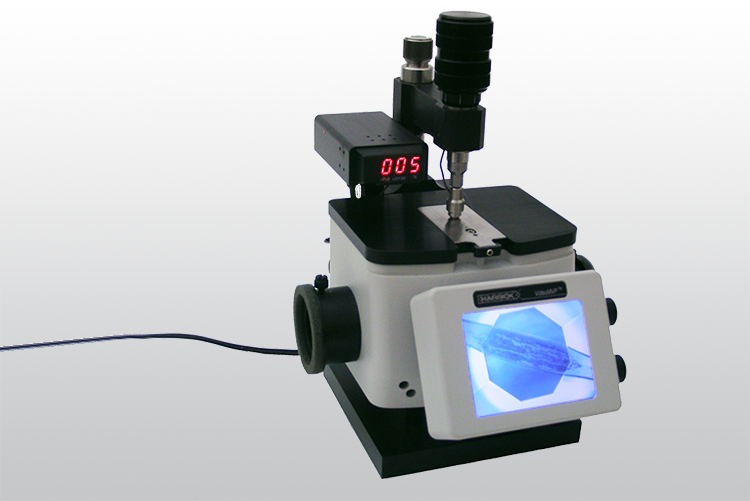 The VideoMVP™ features a convenient horizontal sampling with an active sampling area of less than 500 µm in diameter on its monolithic diamond. 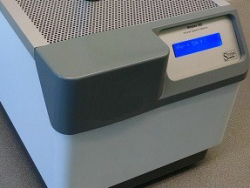 This makes it ideal for infrared spectroscopy measurements of extremely hard samples, abrasive powders, fibers, beads, and even corrosive materials. The video imaging system provides a real-time magnified view of the sample through the ATR crystal. This image can be seen on the built-in display or digitally captured for a permanent record. 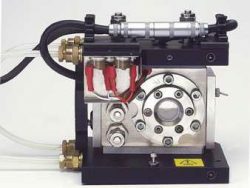 Solid samples are compressed against the ATR crystal using the built-in pressure applicator. The pressure applicator features a slip clutch to prevent over-pressurization. 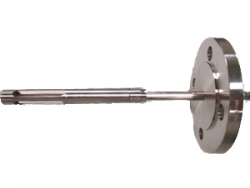 An optional force sensor with digital read-out is available for precise measurement of the force applied to the sample and to reproducible apply lower force than delivered by the built-in slip clutch.